PowerPoint is an incredible tool, we all know it. But most of us are using it the wrong way! Ignorance makes us so blind that we imitate what others do, without even realizing that it doesn’t work! I don’t want to confuse you. I just want to ask whether are you aware of what is the decisive factor of your PowerPoint Presentation that can make or break your impression in front of your audience. If you attend local events, seminars, speeches, sessions, etc. frequently, you will notice that most of them rely on PowerPoint to add some more weight to what they are speaking. PowerPoint also helps them to remember the content’s sequence. But, if you are a good observer, you might also have noticed that almost all of them use the same old default presentation templates. Sure, these professional PowerPoint templates are awesome, and I really appreciate Microsoft for including them, but the fact is that they are over-used. 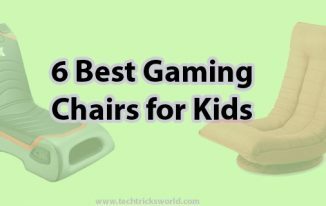 You might have even found Google Slide Themes being used at many places, but you need something unique for that either. If you want to make an impression in this competitive era, you will have to do something to make a strong impression on your audience. And that happens, only when you present something unique. Your audience is dumb – Accept this fact. The quicker you do, the better it would be. You have a limited time to prove that you’re a man worth listening to – and once they accept that you’re yet another ordinary speaker, they will find reasons to prove their belief……. And that’s a grave disadvantage for you! Long story short – you need unique looks for your presentation, and that is possible by obtaining professional PowerPoint templates. Let me introduce you to www.poweredtemplate.com, an awesome destination for your design needs. It offers PowerPoint Presentation themes, Slides, Print Designs, website templates, clipart, and many other graphics. If you remember, I had written a post about Slidemodel, which offers mainly the PowerPoint templates, and now I am introducing one more awesome brand for the similar and even little more design stuff. 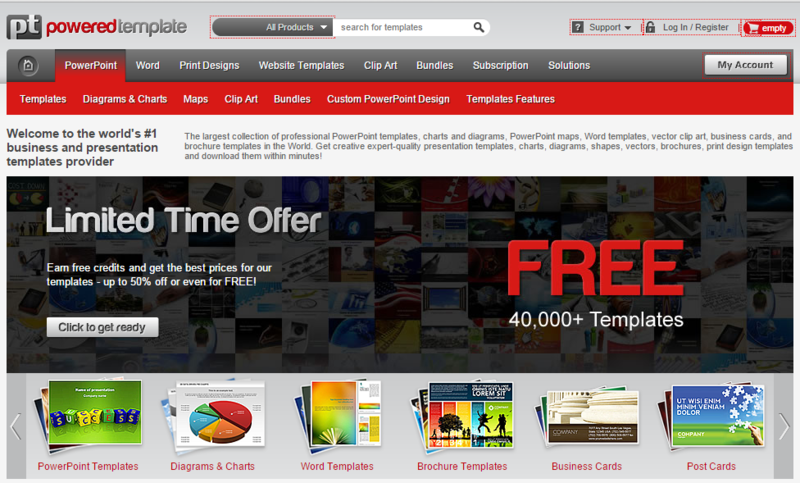 PoweredTemplate is an awesome place for all your design related solutions. Get a professional PowerPoint template or a Google Slides Theme, and fit your content into it. That’s the one-two punch you will have to follow, and your presentation would be ready! Thinking of hiring someone to design? Well, I won’t recommend that! What’s the assurance that the guy you hire would have created the theme on his own? Or, what are the odds that the theme you receive is copied from somewhere? Can you believe that the theme he gave you is not a free distributed theme? So Many issues. Moreover, what do you think about the price? A genuine designer would cost you a lot for a professional PowerPoint template. So, why not go for PoweredTemplate, which offers a wide range of templates and other design stuff at fair prices. PoweredTemplate would literally power up your content with professional PowerPoint templates. By merely previewing the presentation themes, you will realize what efforts were put in the construction of that theme, and how it can make your audience AWESTRUCK! Look at the creativity of the design. Every object is placed minutely, and utmost care is taken so that it doesn’t look misaligned or something likewise. Your presentation isn’t just complete with your design. 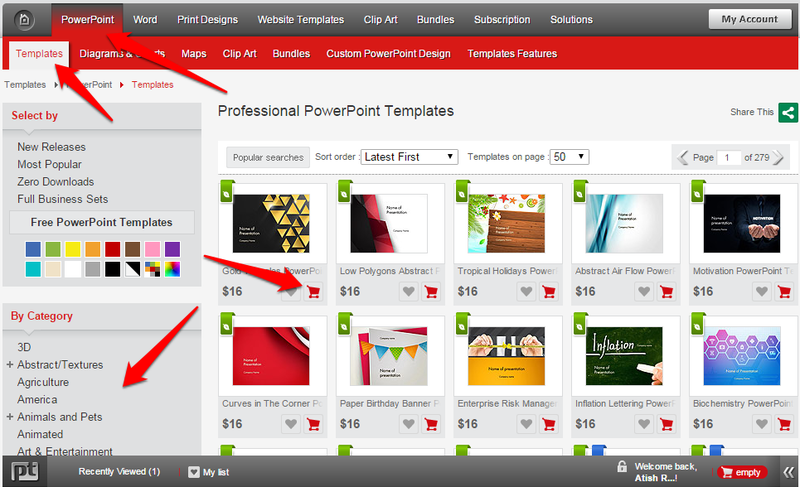 PoweredTemplate won’t just let you suffice with professional PowerPoint templates! You need various elements from external sources to supercharge your content, and here you get everything you need to make your template better. Various Powerpoint diagrams and charts are available to buy on the website. You can purchase add-ons such as PowerPoint Diagrams and Charts to make your content look appealing. Think about it – Nobody bothers to take care of such small things. What would happen if you take care of them? – Your audience will love you! You can buy cubes, ladders, blocks and all other sorts of diagrams and charts that can fit your content. You might not need them that frequently – but when you need them, it’s a lot better to make a purchase. A map that you purchase from PoweredTemplate would include more than 50 slides, with different styles each and every section of the map. For instance, look at this African Map. The entire PPT has 54 slides in total, and there are individual sites for every country on the continent. Thus, for one single purchase you get the whole Africa covered in the presentation! Every minute thing matters, and therefore, clip-arts matter too! PoweredTemplate has a decent collection of Clip-Arts for you to use in your professional presentation templates. There are some FREE clip-arts available at the page too – you can try them out before making a good purchase! Not still satisfied with the range of PoweredTemplate? Let them design a custom template for you. Get a professional template – exclusively designed for you at just $195! The elements you purchase from PoweredTemplate can be used for OpenOffice, Keynote and as Google Slides Themes too! As you might be knowing, OpenOffice and Google Slides are capable of opening and editing the default PowerPoint extension files (.PPT and .PPTX), thus, there is no doubt whether your PowerPoint theme is a Google Slides Theme and an OpenOffice Theme as well – and PoweredTemplate assures the same to you! Note that, though Google Slides Themes and various other software themes can substitute PowerPoint, Google Presently is not supported. PoweredTemplate also sells Word Templates, Print Designs, Website Templates and other bundles for you! How about making PoweredTemplate your one-stop destination for design solutions? How to Make a Purchase on PoweredTemplate? 1. Register for a free account at PoweredTemplate. It’s easy and takes around 2 minutes. 2. It’s time to handpick a few products now. Choose a few or a lot of them, and add them to your cart. 3. In case you’re confused, add the items to the “My list” section. It allows you to compare the presentation templates before making your purchase. Moreover, if you forget to add any item to your cart, it can be found at the “Recently viewed” section. 4. Go ahead, and make your payment. 5. You’re now free to download your purchased elements. How to Download Templates free of cost? For a limited period, PoweredTemplate is offering something that you can use to get the templates for free. 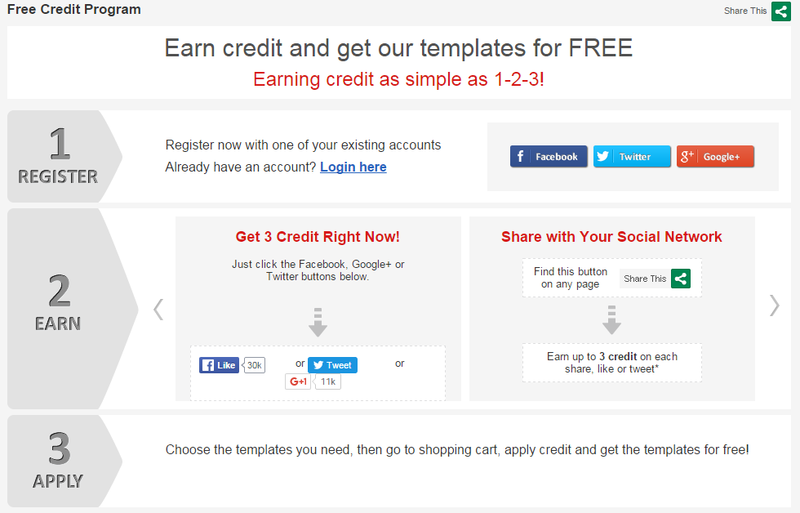 You need to do a few of social sharing to earn credits that will get you a template for free. 1 Credit is equal to 1 USD. That means if you earn 20 Credits, then you can get a template costing 20 USD for Free. As you can see, you can buy a membership for 1 month, 3 months, 6 months as well as 12 months. The plans are divided into Gold and Silver. The gold plan has more features and a higher number of allowed downloads per month. To Get started you can start with Silver Membership, but if you require advanced features and need a huge number of templates every month, then Gold Membership is the best option for you. Get more info here. I have become a big fan of PoweredTemplate, and I would surely rely on it for my next PowerPoint presentation. It’s an awesome hub for professional PowerPoint templates. The support for alternative software such as Google Slides Themes is a great advantage too! What do you think about this? Have your say in the comments section below! I think you have shared one of the best source for getting PowerPoint templates. Getting the best and unique templates is difficult. Next time I have to give a presentation I will surely take a look at the site you recommended. Thanks for coming by to my blog after a long time. Hope you are good. Yes, this website has good templates. I have checked on this site, many free templates are also available and they have attractive designs. I was currently searching for PowerPoint templates and got your site. You have pinned a great list. Thanks for sharing it. Really a very nice, informative and useful article.. But features of PowerPoint you have shared with us really going to help us in many ways. 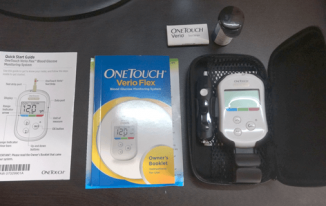 Thank you for taking time to share such a wonderful article with us. Thanks for sharing informative and useful article. 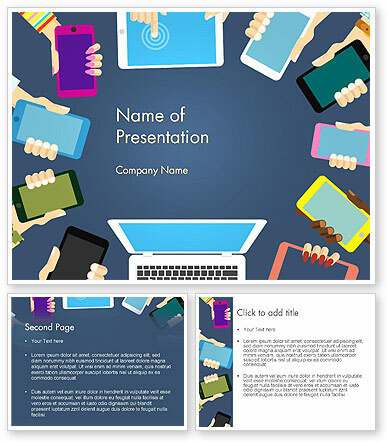 You have shared one of the best source for getting PowerPoint templates. Powerpoint templates are looking amazing by powered templates and good thing to know is we can get those templates for free for a limited period of time if we follow their instructions. When I was working in pharmaceutical marketing I used to prepare a lot of slides with powerpoint but I am not using much but I will share this information with my pharma friends. Thanks for dropping by to this post. Yes, a guy who has to use Powerpoint for making presentations, PoweredTemplate is surely a big help. WOW!!! Excellent post. Thanks for sharing it to us. All these PowerPoint templates are awesome. Thanks a lot..